Evalee Littlehead Foote, left this earth after a courageous battle with undiagnosed cancer on November 28, 2018. Evalee was born in Lame Deer, MT to George Littlehead and Bertha Beartusk, on December 14, 1943. 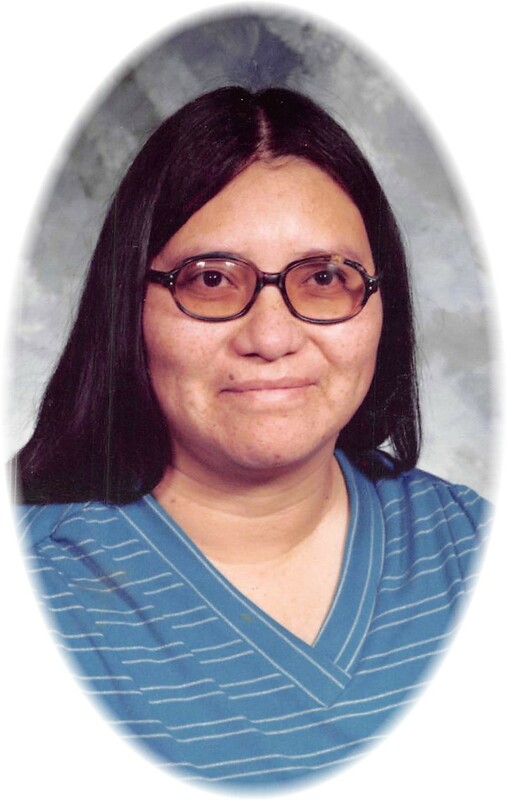 She was raised in Lame Deer and attended Flandreau Indian School and St. Labre Indian School. She graduated from St. Labre Indian School in 1962. She married the love of her life, Anthony “Tony” Foote, November 8, 1963. They made their home together in Ashland where they raised their children, Tonia and Anthony. She was employed at Guild Arts & Crafts for a number of years, then became a Teacher’s Aide at St. Labre. While in this position, she gained close personal relationships with many of her students. Her final position with the St. Labre School was at the Clothes Room, it was a very fitting position for her, as one of her favorite hobbies was thrift shopping. After the death of her husband in 1997, Evalee moved back to Lame Deer. She was employed with the Northern Cheyenne Child Care Program for the remainder of her professional career. Evalee’s life revolved around her family. While married to Tony, weekends were spent at the Rowland home in Muddy Creek for family meals and card games. She provided unconditional love and care to her husband until his passing. She spent countless hours in basketball gyms and softball fields, first watching her son Anthony compete, and most recently watching her grandchildren and great grandchildren. Anthony was inducted into the Montana Indian High School Hall of Fame on December 1, 2018. Evalee was anxiously looking forward to watching him receive his award. Unfortunately, she passed three days before the ceremony, but she was definitely there in spirit. Grandma Evalee, never missed a concert or game if her schedule and location allowed. She always shopped for and provided what she could for her grandchildren. Many times, finding treasures at the Clothes Room, FS, or Bargain Center. Her favorite past times were playing cards with friends and family and playing Bingo, Poker, and Keno at Charging Horse Casino. Survivors include: her children, Tonia and Darrel Birdsbill of Pocatello, ID; Anthony and Sherry Ann Foote of Colstrip, MT; her grandchildren: Shaye Birdsbill (Pete); Shawney Birdsbill (Levi); Israel Birdsbill; Kasey Goodluck (Isaiah); Kori Lonebear (Kevin); Chase Foote; Slone LaFountain; Tanor Foote, Rylee Foote; Brooklyn Foote; her great grandchildren: Zaylee, Tinzlee, and Kyus Goodluck, Jayshawn Johnson, Arianna Aguirre, and Kordell LaFountain . She is also survived by four Godchildren: Vikki Cady, Angela Sioux, Kateri Foote, and Monica Rowland. Adopted son; Roland Brown. Siblings include her sisters: Georgiann Kellum, Mercedes Tallwhiteman, Diana McLean, Linda Freeman, Christine Freeman and Priscilla Walker. She was preceded in death by her husband; Tony Foote and granddaughter, Britnee LaFountain. Brothers; Bernard Littlehead and Darrell Scalpcane. Sister; Caroline Littlehead. Tony and Evalee opened their doors and hearts to many, far too many names to mention. So sorry for your loss, Evalee was a great person and I loved visiting with her. May God give you strength at this time. SO SORRY TO HEAR ABOUT EVALEE, PRAYERS TO ANTHONY AND FAMILY…. THE NORTHERN CHEYENNE CHIEF COUNCIL EXTEND THEIR MOST SINCERE CONDOLENCES TO THE FAMILY OF EVALEE FOOTE AND PRAYERS FOR STRENGTH DURING THIS MOST SAD, SORROWFUL AND MOURNFUL TIME FOR THE LOST OF A BELOVED LOVE ONE. Deepest sympathy to Evalee’s family. She is in a better place and back with the love of her life, Tony Foote. She will be missed by everyone who knew her. Rest in peace Evalee and God Bless! PRAYERS and condolences to the Family at this time at this time. Our deepest heartfelt condolences to Tonia, Anthony, Bertha and their families. Tony and Evalee we’re good friends of my parents and as much as it hurt to let her go, take comfort in knowing that she is now pain free and with her first love in the celestial kingdom. Condolences and prayers to the family. So sorry for your loss Tonia and Anthony. Your mom and dad loved you both so much. Sending prayers and hugs for Evalees family..going to miss her hugs n beautiful smile. So sorry for your loss. Lifting the family up in prayer during this time of mourning. Sorry for your loss of a great mother. Sending you our prayers and condolences. Anthony and Tonia your mom is a great place with her lover of her life your dad. So sorry to hear, just told my dad Reuben Bear Tusk Sr. Our thoughts and prayers are with the family! Sherry, Anthony william, all Evalee’s family, so very sorry for your loss & will keep you in our prayers…Rylee, Xandrea & Trey send their love & condolences. So sorry for your loss. She’ll be with you always.